At Ponds & Sons, we respect and strictly adhere to all laws, codes, regulations and requirements. Until the founding of Ponds & Sons, both Tony and Willis worked at Ponds Construction Company. Tony was a part owner of Ponds Construction Company along with his brother and father, Joe J. Ponds. When Joe Ponds retired, the two sons each started their own company. A number of the projects on this web site were done by Tony and Willis while they were part of Ponds Construction Company. Ponds & Sons Construction Company, Inc., a South Carolina corporation, was founded by the father and son team of Tony and Willis Ponds in 2003. They specialize in custom home building and remodeling. Be sure to see the article featuring Ponds & Sons that appeared in the Walterboro Press & Standard. The owners of Ponds & Sons Construction Company, Inc. are from a family that has been building and remodeling homes in South Carolina Low Country for the past 80 years. Willis is a fourth generation home builder born and raised in the Lowcountry of South Carolina. His education includes 13 years of homeschooling during which time he was trained by his father in all of the means and methods of home construction. After high school and working for a year to save money, Willis worked and paid his way through Trident Technical College in Charleston, SC. In 2002, he graduated with a degree in Occupational technology (emphasis in Basic Construction Trades) with a GPA of 3.92. This degree combines Civil Engineering and Construction Management with the added benefit of real life home building experience with Habitat for Humanity. Willis has managed a number of large projects including the Langford House at Derry Plantation near Ridgeland, South Carolina. The Langford House has been featured in Southern Living and Period Homes magazines. Mr. Ponds is very knowledgeable in the area of home construction. Willis works hard to stay up to date with the latest materials and methods. Although he trusts old and tried methods, he is not afraid to try new things if they are well tested. As our subs will tell you, "Willis is very picky." He demands things be done right. Willis holds a South Carolina Residential Builder's License. When he is not working with his two sons (soon to be the fifth generation of Ponds builders), you will find him working on his computer or building projects around his house. If you are thinking about building a house, call (843) 846 - 2500 or email Willis. 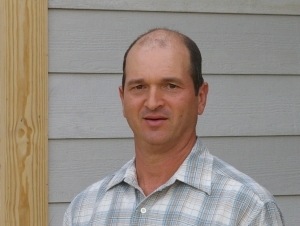 Tony has been in the home construction and cabinet making business for over 30 years in the South Carolina Low Country. He is a third generation home builder. Mr. Ponds started out owning and running a custom cabinet and mill work shop. After doing this for about ten years, he went to work for a major contractor in the area. Leveraging on his skills building cabinets, Tony became a project manager for C. F. Evans, a large commercial contractor in Orangeburg, South Carolina. His specialty was managing projects that required detailed woodworking. After about ten years, he joined his brother and father in Ponds Construction Company. They built up scale custom homes for demanding customers. At the retirement of his father in 2003, Ponds Construction Company quit building homes. Tony then joined with Willis and started Ponds & Sons Construction company to continue the tradition of high quality custom homes. Tony has now retired from Ponds & Sons and sold out to his son Willis. He will remain in the business of fine woodwork and cabinetry under the name of Ponds Wood Products. If you should like to contact him you may email him or call him at (843) 908-0134.